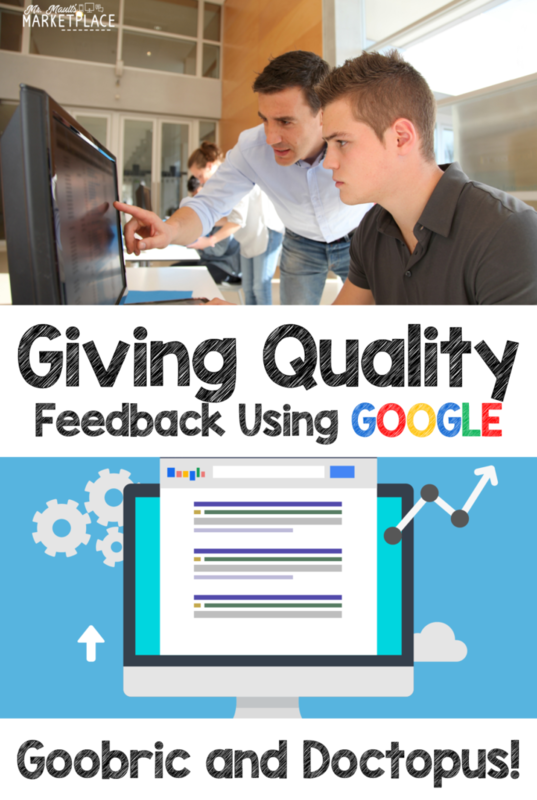 Giving quality feedback with Goobric and Doctopus is an easy way to begin digitizing your rubrics and getting them to students through Google Docs and Slides! Below, you will find a video explaining how to get started with the add-on and the Chrome extension! We all will agree that we need to get students feedback quickly, but also need to give them quality, constructive ideas and ways to improve their work. Honestly, if we don’t, it’s a waste of time for students and definitely a waste of time for teachers. Goobric is a Chrome Extension that you can snag from the Chrome Web Store. Get it here. Doctopus is an add-on that you will need to add through Google Sheets. Students do not need this add-on, but you will need to plug this into your Google Sheets the first time you use this feature. Once added, it will be under the add-ons section of Sheets. This group will answer all of your questions about Google Classroom! Join the Google Classroom Gab Group by clicking here! Check under the video to see the steps you should be taking to get started! Create a Google Classroom assignment, attaching either a Slide or Doc file. Create a copy for each student. Open up a new Google Sheet. Click the “add-on” menu and launch Doctopus. Choose the correct Google Classroom and then choose the correct assignment. Now, at the top of the Doctopus sidebar, click “Add Goobric.” Select the rubric you have previously created in Google Sheets. Go over to your students work in Google Classroom. Click on a specific student and click the “Goobric” extension on your Chrome browser (it’s the little eyeball). Score the work on the rubric, add comments, and then click submit. The rubric and all of your comments will automatically be entered into your students’ Docs. That’s it! You’ve done it! Woohoo!! Get 10 MUST-HAVE Extensions for teachers and students by clicking here!